Bhuj city is the administrative headquarter of Kachchh District, the largest district of Gujarat in terms of geographical area. It is located in north-west part of Gujarat at a distance of around 400 Km from Ahmedabad and Gandhinagar, the state capital. Being centrally situated in the district, and second largest city of Kachchh, Bhuj is of strategic importance for development of the region. Bhuj is well connected with other cities of Kachchh and Gujarat by road and rail. It serves as an important center for trade and commerce for the region. On 21 July 1956 as well on 26 January 2001, the city was struck by a major earthquake , which caused a great deal of damage and loss of life and property. Many parts of Bhuj were demolished due to the extensive damage whilst others were repaired. There has been a great deal of progress in the city since 2001 earthquake with considerable improvements to transportation and various other infrastructures. The town actually had a rich and vibrant history. Since it was a walled city, at its prime in history, there were 35 feet high walls and towers that surrounded the city with 51 guns to boot. There was a hill for that was strategically located in such a manner, that the soldier would be able to espy on enemies and alert their defenses. Bhuj has its name from the fortress called Bhujiyo that overlooks the city from this nearby hill. 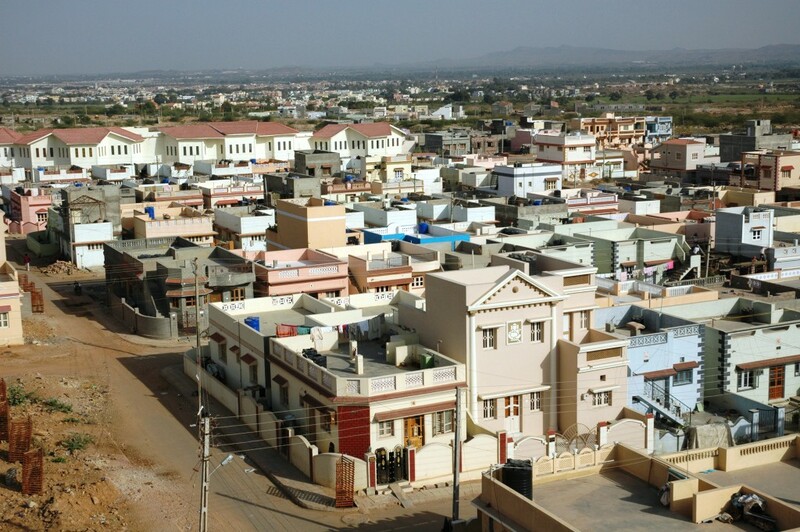 The city of Bhuj was established by Rao Hamirji in 1510 and was made the state capital by Rao Khengarji I in 1549. Its foundation stone as state capital laid formally on Vikram Samvat 1604 Maagha 5th (Approx. 25 January 1548). From 1947 to 1956 Bhuj was Capital of Kachchh State. After 1960, Kachchh became part of Gujarat state.